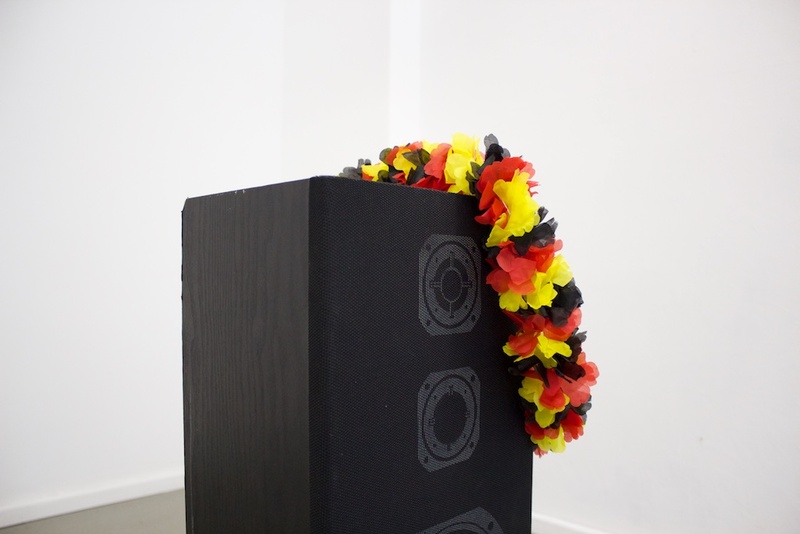 Sound Intervention during the FIFA World Cup 2014. 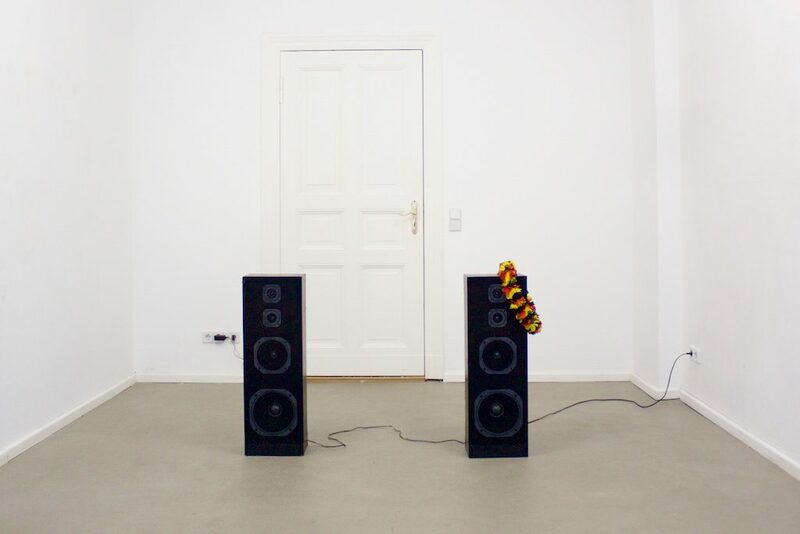 An audio track resembling the noise made by crowds watching soccer was played back very loudly on two speakers in the otherwise empty gallery space, during one of the matches of the german team. The rhythm of the pauses, cheers and screams in no way matched the current game´s developments, leading to quite some irritation in the neighborhood. Sounds recorded during a dinner with artists and friends of the Institut für alles Mögliche, Berlin (Thanks! ).